Everybody knows that sugar and high carbohydrate foods lead to diabetes. That's because these foods raise the blood sugar levels so high and so rapidly. But are there any other problems that can happen from high blood sugar levels besides diabetes? The answer may surprise you. A brand new study was just published this week that shows that eating these foods can also be one of the major reasons for who gets Alzheimer's and who doesn't. The authors of the study point out that previous studies have clearly shown that the higher your blood sugar is during the course of the day, the more likely you are to get dementia. This is particularly true of the risk for dementia due to Alzheimer's disease. 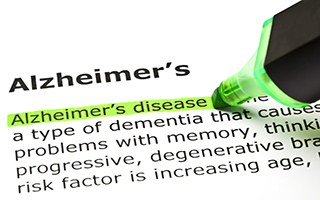 Because of this connection, they decided to find out how high blood sugars cause Alzheimer's disease. And the results of what they discovered are startling to say the least. Here's what they did. The researchers took a group of mice that they bred to get Alzheimer's. This would be the equivalence of a person who has the genetics for Alzheimer's. They gave the mice enough carbohydrates to raise their blood sugars substantially. Then they measured the levels of amyloid plaque and blood sugar in the hippocampus region of their brains right after they had a high-carb meal. Amyloid plaque is what causes the destruction of the brain cells in Alzheimer's disease. The hippocampus is the area in the brain that controls memory and orientation and is the major target for Alzheimer's. The results of the experiment should give you some concern the next time you think about indulging in a high-carb meal. They found out that the amount of amyloid plaque that developed in the hippocampus of these mice directly increased as their blood-sugar and brain-sugar levels went up. And this happened every time they ate a high-carb meal. Not only that, but the carb effect was even greater in the older mice who already had some early evidence of Alzheimer's. So high carbohydrate meals not only contribute in a big way to causing Alzheimer's, they will also worsen the disease in those who have it. So if you have a genetic history in your family for Alzheimer's disease, let me suggest that you really take note of this study. The implication is that every time you eat any high-carbohydrate food, you are immediately increasing the likelihood that you will come down with Alzheimer's later on. And if you have a loved one who is already showing signs of Alzheimer's, do them a favor and take them completely off all carbohydrate foods. You will undoubtedly slow down the progression of their disease. What are high carbohydrate foods? Specifically, they are fruit (except berries), grains (bread, chips, cereals, etc. ), and sugars (sugar, honey, syrups, etc). These foods are so bad because they cause a sudden and very significant rise in the blood sugar levels. There are some sweeteners that don't cause an elevation in blood sugar, such as xylitol and stevia. So these are okay. If you need some help on figuring out what to eat when you eliminate these foods, go online and look up either ketogenic diets or Paleo diets. And by the way, eating this way will also decrease your risks of weight gain, diabetes, and heart disease. Macauley SL, Stanley M, et al. Hyperglycemia modulates extracellular amyloid-β concentrations and neuronal activity in vivo. J Clin Invest. 2015 Jun 1;125(6):2463-7.